To celebrate educators day last year we were treated like movie stars by our two wonderful directors Priscilla and Boe. As we entered the service we were greeted by Priscilla and Boe with big smiles and a big congratulations for being an educator. 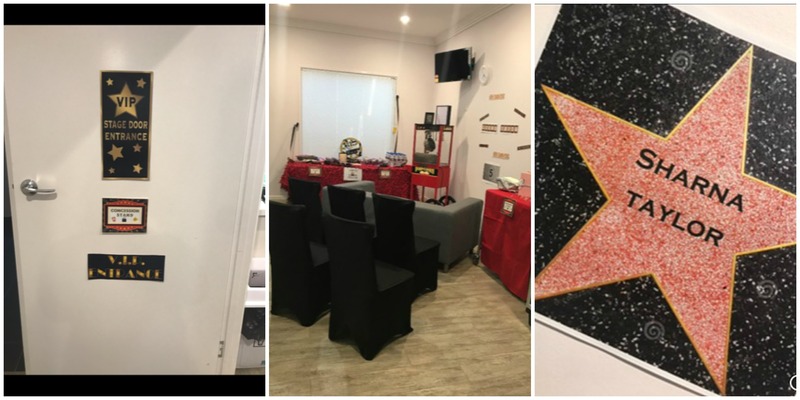 As we entered our staff headquarters there was a beautiful black rug laid out and on the wall was a star of fame for each of our valued team members. As we continued into the staff room we were completely baffled by the amount of effort that had gone into celebrating us as educators. We were gifted with a tv for our staff room that had Netflix already set up for us. The couches and chairs were assembled like a movie cinema and there was a popcorn machine with fresh popcorn popping away. 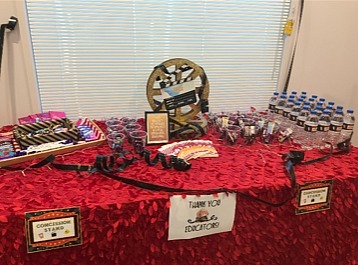 There was a table full of individual movie snack packs and special bottles of water for each of the educators. As if this wasn’t enough, we were also treated to mini massages and lunch was supplied. 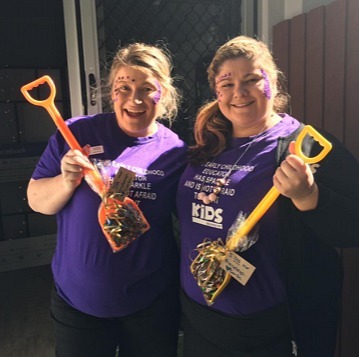 Every day at Springwood Kids ELC is a celebration of our hard work and dedication, but Early Childhood Educators Day last year was really out of this world. It was another way for our educators to connect as real people not just as educators. It was a feeling like no other in a work place, it is actually really hard to put into words the vibe around the service that particular day as it truly was magic. I’m pleased to say it is a day we often talk about with so many amazing memories and every time we talk about it, that magical feeling seems to reignite within the room. We are so lucky to have such incredibly thoughtful directors who took the time to make us feel like real movie stars. So to our directors Priscilla and Boe, from your team at Springwood Kids, I just want to thank you both for always showing appreciation, for always celebrating our wins and for always supporting us through our struggles, and of course for that special day that we all treasure so much.